Educational building, Athens, GR | Prof. Dr. S.N. Pollalis Inc. 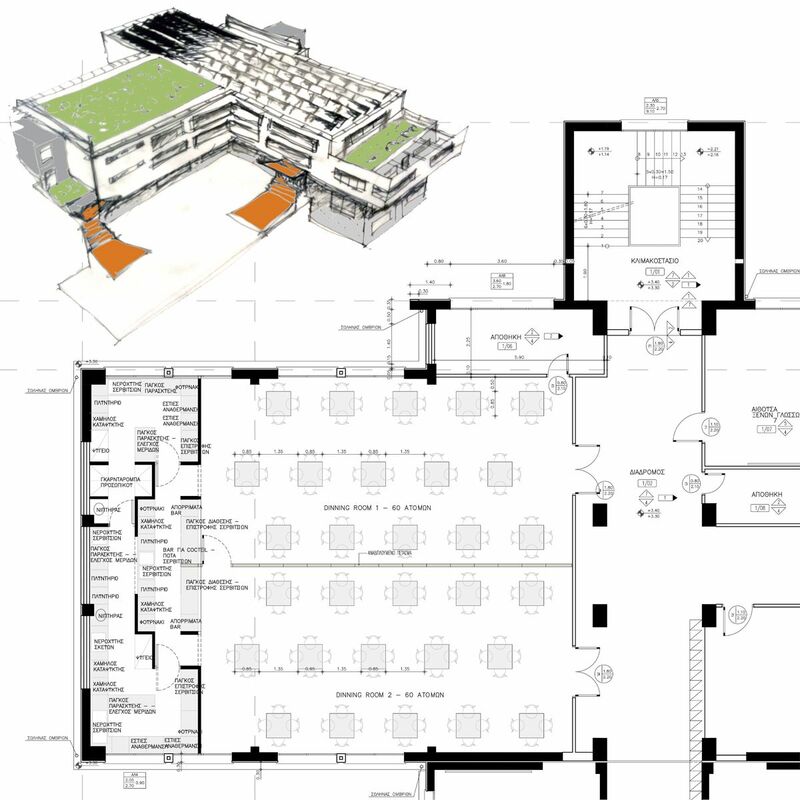 In September 2010, Prof. Spiro Pollalis and his associates in collaboration were commissioned by the Hellenic- American Educational Foundation (HAEF) to propose an expansion for the “Vasileia” complex of Athens’ college. 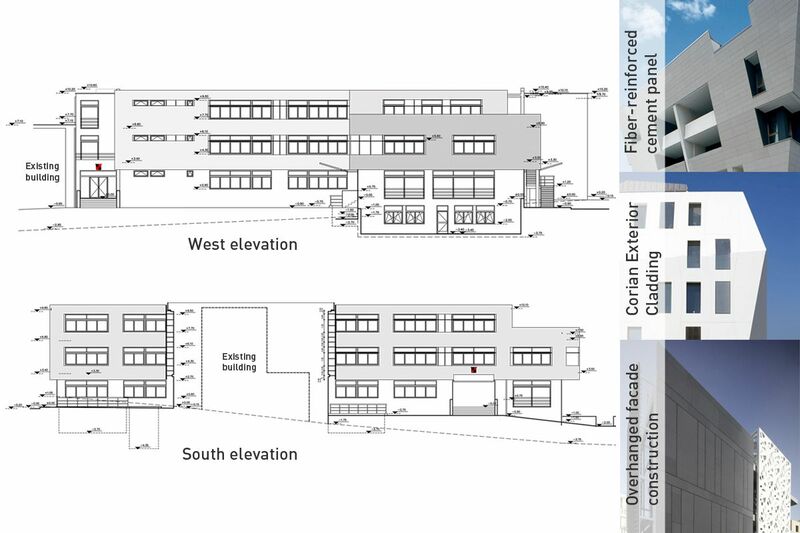 The team proposed to differentiate the new 2-level structure morphologically with the existing building, suggesting its later construction. This was achieved by making the first and second floors prominent to the existing ground floor, giving the impression that they are slightly swirling. The design was based on sustainable solutions for the building envelope, the roof and its infrastructure. The facades of the upper floors are invested by an overhanging structure, which protects the openings from the exterior climate conditions and aesthetically it groups them accordingly to differentiate them from the pattern of the existing building facades. 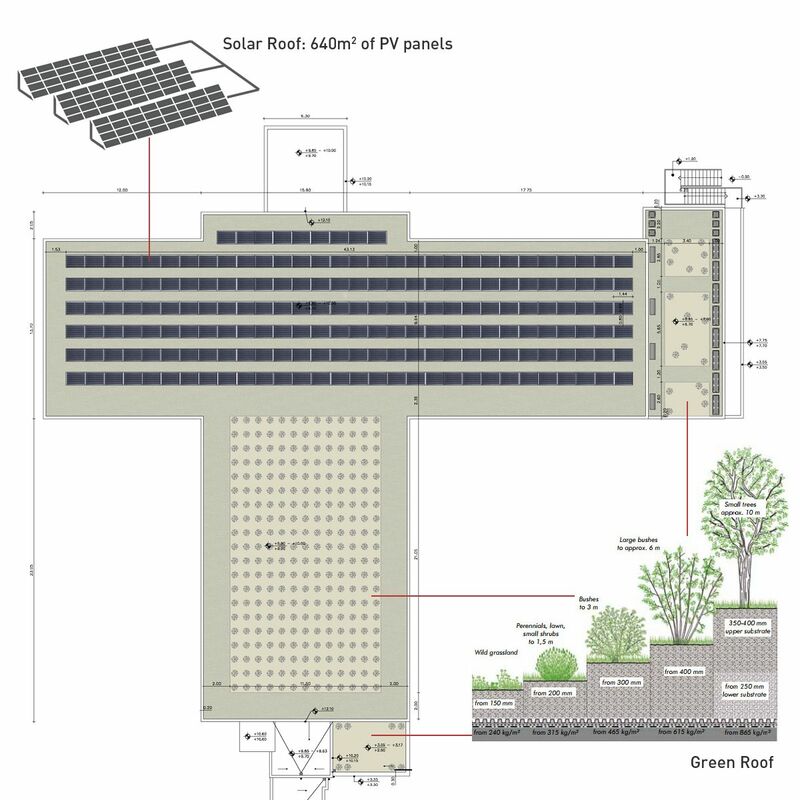 On the roof, the design proposed the installation of PV panels and low vegetation such as grass, small shrubs and bushes. The above combination refreshes the PVs and boosts their capacity, whereas the PVs decrease the temperature of the roof and delay the water evaporation.